If you have a passion for working in primary health, if you want to work in a unique environment and make a difference, and if you want to work in a multidisciplinary team that shares your dedication to healthcare without judgement, we have the job you are looking for! 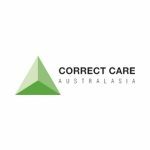 Correct Care Australasia is Australia’s largest outsourced correctional healthcare provider. Operating across all of Victoria’s 14 publicly managed prisons and one private prison, and two Youth Justice Precincts Correct Care provides primary healthcare services through a diverse and dispersed workforce of healthcare professionals across metropolitan and rural Victoria. An exciting opportunity is now available for an experienced Aboriginal Health Worker with a passion for promoting Aboriginal health to work with teams to ensure optimal patient outcomes and provide a valuable contribution in a part time capacity at the health centres. This part time position (1 day per week) will be situation at Malmsbury Youth Justice Centre to facilitate provision of appropriate multidisciplinary care to achieve better health outcomes and deliver a culturally safe health service for Aboriginal young people. If you would like to have an initial confidential discussion, please contact our Chief Nursing Officer, Christine Fuller on 03 9252 1700. A copy of the position description may be obtained by emailing YJRecruitment@correctcare.com.au. To apply hit the “Apply Now” button or send your resume and covering letter to YJReccruitment@correctcare.com.au in MS Word format.